Celebrate Disney's hit Frozen film with some great artwork! 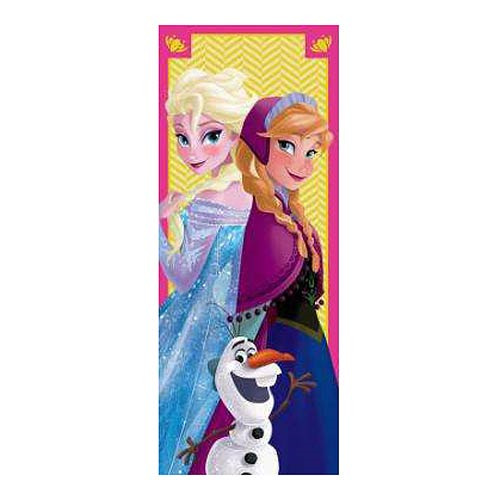 This Disney Frozen Yellow Pink Stretched Canvas Print shows a fun image of Snow Queen Elsa and her sister Anna, along with Olaf the Snowman. This great piece of artwork has been printed on canvas measuring 20-inches tall x 8-inches long, and stretched across a frame that measures 1 1/4-inches wide. Ages 12 and up.